Trade shows are trade shows, right? Yes - but there is always room for innovation. The first day (16 November) of the Health Ingredients Europe expo in Madrid saw an interesting kind of collaboration on show between supplier and customer. Ireland-based food group Glanbia has teamed up with customer and smoothie bar chain Zumo to demonstrate to visitors how its ingredients are applied in products on sale to consumers. 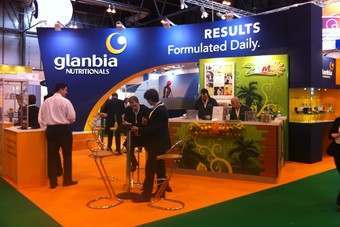 Glanbia's stand includes a Zumo bar where visitors can sample smoothies containing the Irish group's ingredients, helping it stand from its competitors' booths. The two companies were showcasing three different smoothies on sale in the around 100 Zumo bars located in 13 different countries. "We wanted to do something to create a bit of a buzz," said Martin Eisenring, marketing manager for Glanbia Nutritionals.